Once upon a time, a great plumber named Jim would be asked by his repeat customers, “Hey, when are you going to start your own company?! 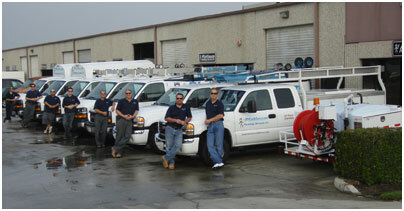 ?” After years of building a stellar word-of-mouth reputation, Jim founded Platinum Plumbing in 2002. It quickly expanded from a one-man, home-based business until Jim knew he needed a partner. 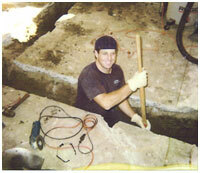 Steve Sayre was an excellent master plumber with a great reputation of his own. 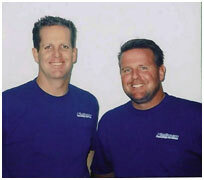 Jim and Steve were good friends and former co-workers who shared the same strong work-ethic and the drive to create a unique company based on exceptional service provided by outstanding employees. Their partnership, officially begun in October 2004, solidified into incorporating as Platinum Plumbing Services, Co.
Now in 2017, Platinum has evolved into a respected company that continues to grow and develop, while maintaining the client-oriented service of a small company. PPS has dabbled in mainstream advertising, but continues to grow our customer base through repeat business and referrals. It seems that, like finding a trustworthy mechanic or a great dentist, once customers discover PPS to be an honest and reliable plumbing company, they happily spread the word.